What are Sciatica Pain Symptoms and How Can a Chiropractor Help Me? Lower back pain is a common ailment in adults. In many cases, it is caused by inflammation of the sciatic nerve, which begins in the lower back and runs down both legs. Sciatica occurs when this nerve becomes irritated by injury, pregnancy, disease or pressure from nearby discs. Typically, sciatica occurs on only one side of the body, and the pain is felt from the lower back, through the thigh and all the way down the leg. Occasionally, the pain may affect the foot and the toes. While the pain may occur intermittently for some individuals, it can be frequent and severe for others. – Degenerative disc disease. This is a deterioration of the discs that protect the spinal vertebrae. – Spinal stenosis. This is a condition where the spinal canal located in the lower back becomes narrowed by arthritic changes or disc herniation. – Spondylolisthesis. This is when the vertebrae slide forward on the vertebrae below it, often resulting in nerve impingement or into the canals where nerves exit. – Piriformis spasm. The piriformis is a hip muscle that lies across the sciatic nerve. Increased tension or spasm of this muscle can lead to sciatic nerve irritation. – Pregnancy. The increased abdominal weight adds stress to the back. Other factors in sciatic nerve compression include sleeping on a mattress that is not firm enough, wearing high heels, obesity and a lack of exercise. The condition may also result in numbness or paralysis of leg muscles. Chiropractic treatment alleviates the pain and reduced function of sciatica by freeing up the movements of the spine. After an examination and review of a patient’s medical history, the chiropractor will help the person’s body to heal through a natural, drug-free and non-surgical process. – Adjustments to the spine that restore normal movement and allow misaligned vertebrae to return to their natural positions. The amount of force used can vary from gentle pressure to a high-speed thrust. Each type of manipulation requires precision and skill that sets chiropractic treatment apart from other types of medicine. -Lumbar traction to gently pull on the lumbar spine and open the canals where the nerves exit as well as decompress building discs. -Manual therapy to decrease muscle spasm/tension in the lumbopelvic region. 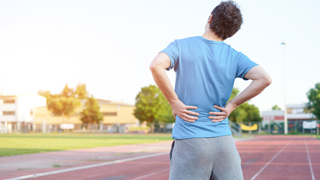 Anyone who is suffering from sciatica can consult with a chiropractor to explore their options for pain relief and to determine if the treatment is right for them. Please don’t hesitate to contact our team at Swetlic Chiropractic & Physical Therapy today!